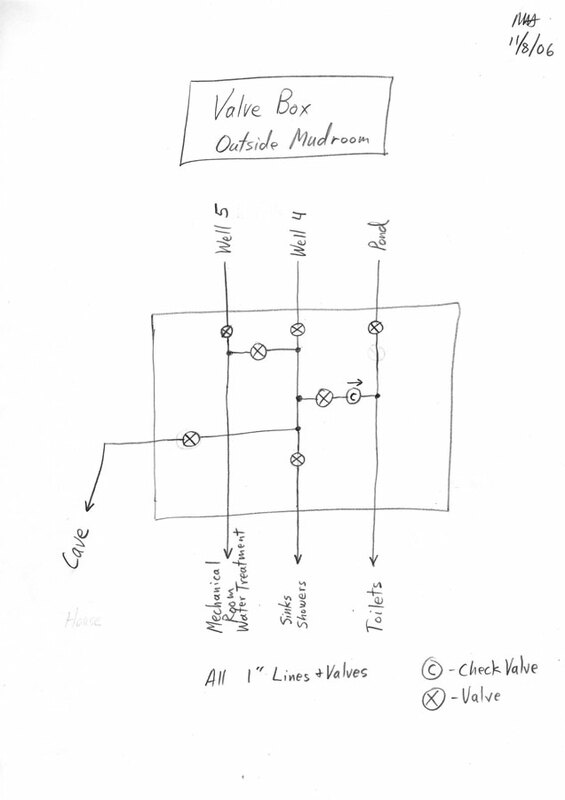 A 1" waterline to the cave and a spare is missing in this drawing. 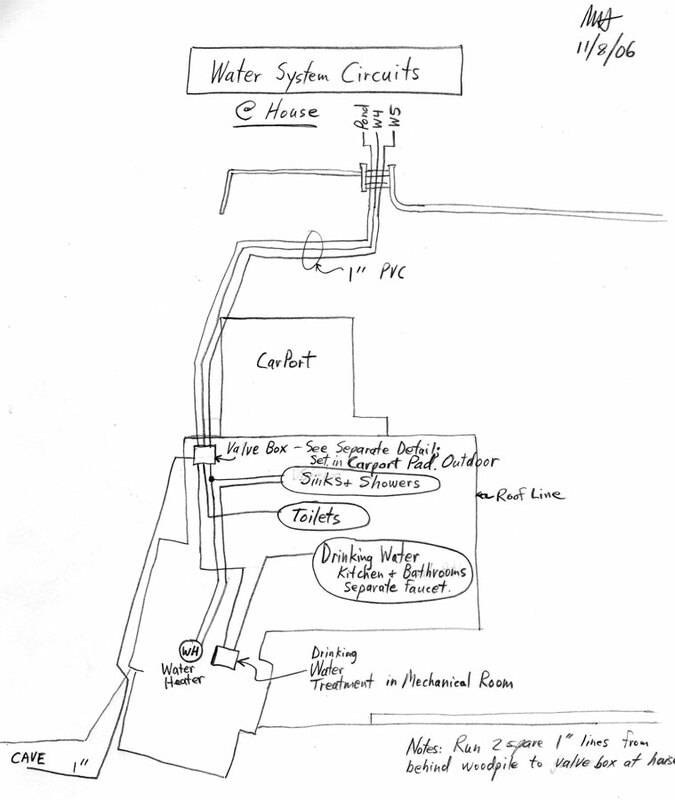 A detailed drawing of the irrigation lines hookup to the submains with air release, valve and pressure regulator at the hookup of the block 3 submain was provided on 10/27/06. Note: Solar is a little more complicated than shown above. This drawing needs some updating. The above drawing needs a valve in the 2" line to allow Pond water to reach the house from the cistern. Site Water Infrastructure existing + plans A little old now. Site Electrical Infrastructure plan Also Kind of old.